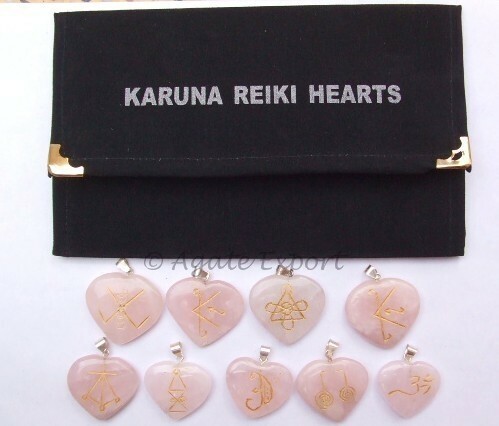 Karuna reiki rose quartz pendant set is brought to you by Agate Export. A person is able to carry out karuna reiki when he is supported by correct energy that balances the process. Those who get energy from rose quartz they can wear one of the pendants from the set.